The village of Eckington, between Sheffield and Chesterfield, has lots on offer. The Peak District is just half an hour’s drive away, but Eckington also has lots of hidden gems right on its doorstep for you to explore. Whether quant tea rooms or cosy pubs are your thing, there’s plenty for you in Eckington. If you’re looking for a pub with rural charm, The Mossbrook Inn is perfect. The pub itself is ideal for alfresco summer dining with a large outdoor seating area, or for cosying up in a warm and friendly atmosphere in the colder months. The food menu changes seasonally, offering a range of traditional pub food. There is also a selection of real ales, gins and other alcoholic and soft drinks on offer. A quant tea garden located on Mill Road, the Church Farm Tea Garden is run by local resident Jenny Buckley from her own home. She offers a choice of homemade cakes, scones and sandwiches as well as tea, coffee and soft drinks, all served in the peaceful surroundings of her tea garden throughout the summer months. Based within the scenic grounds of the Sitwell Arms, you’ll find the Wild Boar restaurant is perfect for a special dining experience. The newly refurbished restaurant and cocktail bar has a menu inspired by French and Mediterranean cuisine. For authentic Italian cuisine served in a traditional restaurant setting, Bella Donna Renishaw is the perfect spot. Candlelit tables, a hand-picked menu and homemade desserts, and a warm welcome await in this independent Italian gem. Whether you're looking for an evening of culture or a family fun day out, you'll find Eckington has something to entertain everyone. Home to the City Players, an amateur dramatics society based in Eckington. The group put on around three shows a year to an auditorium of up to 72 people, with past performances including The Murder Room, Trap For A Lonely Man and It’s Never Too Late. Open from Spring to Autumn every year, the stately home and its picturesque surroundings are ideal for a day out. Take a guided tour of the home, still lived in by the Sitwell family, and dive into their heritage in the Sitwell museum. You can also explore the beautiful gardens and tour the vineyard, both tended by generations of the Sitwell family. Regular events take place at Renishaw Hall from Spring through to Autumn, find out more about what’s on. With plenty of outdoor activities to take part in, from canoeing and sailing to mountain biking and golf. Entry to the park itself is free, you’ll just need to pay for the activities, and a regular calendar of events for all the family take place all year round. See what’s coming up here. 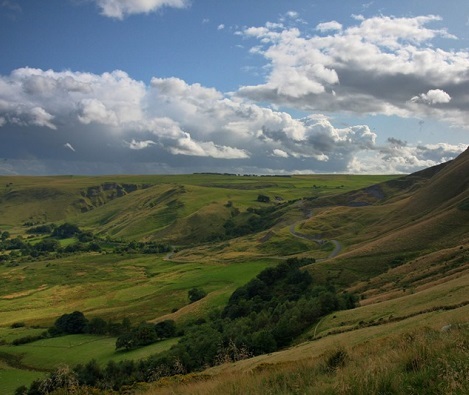 The Peak District National Park is right on the doorstep of Eckington and offers rolling hills and stunning countryside for all ages to enjoy and explore. With activities and events for all the family, you can take in the breath-taking views and explore the historic landscape as it changes throughout the year. The villages dotted around the Peak District offer their own unique charms. Visit Castleton for a caving adventure or try the famously delicious pudding in Bakewell, tackle Mam Tor in Edale or take in the views around the Howden reservoir in Derwent. Belong, our new development is coming soon to Eckington. Find out more about the collection and life in the area.